"Stephanie is my little sister, my adopted daughter and my best friend. I have been blessed beyond measure by her presence in my life. Stephanie has survived unspeakable events in her life and because of God's love, mercy and grace, she is able to share her remarkable story with others giving them hope for a fulfilling life after the horror and abuse from child slavery brought on by an organized cult. Steph has chosen to forgive those responsible for this abuse and has a dynamic story of redemption. It has been the joy of my life to have been chosen by God to give Stephanie a safe environment and I’m so blessed to see the incredible example of God's power to heal a broken little girl into a beautiful woman of faith." 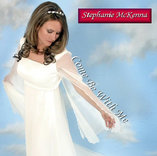 “I have known Stephanie McKenna for over twenty years. She is a faithful, committed follower of the Lord. 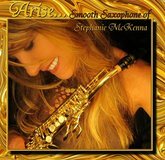 Her giftings are varied and many, from singer, songwriter, musician and more. But more importantly, she is a woman of great character." 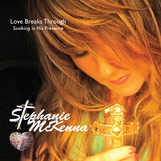 "Stephanie McKenna is a true artist - one who uses her creative gifts to paint scriptural images of God and His love within one’s soul. Her life is a compelling story that she shares with the help of her tools – guitar, piano, vocals and a smooth saxophone – conveying a message of hope for the discouraged, healing for the broken, and truth for the hungry of heart. Stephanie is a living portrait of the powerful redeeming grace of Jesus. She’s someone worth hearing!" Sid Brewer, Women’s Ministry Leader Second Baptist Church, Clinton TN.